I simply asked her, “Which candy would you REALLY enjoy?” The hand with the Twizzlers shot high in the air. “Then buy those,” I said, “And take three breaths before you begin eating them, say a little prayer, and then absolutely enjoy each bite!” I then gently suggested she might consider buying blueberries or (real) strawberries too so she could have healthier options when the sweet cravings hit. Is it a calm, relaxed being or a stressed out body in a rush? Is it a woman who remembers the voice of a family member criticizing her for food choices, or a person with loving awareness of how food can gently nourish the body and soul? You are the WHO. Bring your best, wisest, and highest self to the table. Michael Pollan, author of In Defense of Food, advocates, “Eat food. Not too much. Mostly plants.” I would add: eat organic and locally grown foods when possible, enjoy foods in season, keep sugar intake low, and stay away from artificial sweeteners. (Did you know that Aspartame has been re-branded as Amino Sweet? Yikes!) Avoid fatty foods and genetically modified foods; eat foods that are low glycemic so your blood sugar stays stable (more on this later in the chapter); and choose a variety of color in each meal. Choose healthy protein sources. Supplement your diet with high quality supplements. Follow the 80/20 rule: Choose really healthy foods at least 80% of the time. Know what good carbohydrates are: whole grains, fruits, vegetables, and beans. I am not an advocate of counting calories, grams of fat, or constantly getting on the scale—unless you get on the scale and a delightful voice calls out to remind you of the precious and beautiful being you are. Lighten up. Stop thinking restriction and focus on creating healthy food cravings instead. Or where shouldn’t you eat? Do not eat standing at the kitchen sink, in front of your computer or TV, in the car, at your desk, or at fast food places. When possible, sit down at a table, even if you are eating alone. Individuals and families who create sacred meal times reap countless benefits. Early and often! Start the day with a healthy breakfast that doesn’t spike your blood sugar (typical culprits are a latte and muffin, orange juice, sugary cereals, and pastries). Skipping breakfast leads to weight gain, a drop in blood sugar, and other adverse effects on the metabolism. Eating three healthy meals a day and having two low glycemic healthy snacks between meals keeps your blood sugar and mood on an even track. Going long periods of time without eating actually can add weight because your body goes into fight/flight mode, thinks it’s starving, dumps more cortisol in your stomach, and slows your digestive system—creating more fat. Eating after 7 p.m. can result in what’s been labeled the “sumo wrestler’s diet” since your food hangs out in your stomach while you sleep, eventually adding extra pounds in the process. For health, energy, and pleasure. Mindfully. Taking three breaths (and maybe saying a prayer) before each meal sets the tone for a nourishing break in the day. Setting the dinner table with flowers, candles, good dishes (what are we saving them for anyway? ), and cloth napkins is nurturing and calming. People who ban complaining from mealtime conversations tend to digest their food better. Taste your food! Sprinkle it with the spice of love. Savor each bite. Bon appétit! 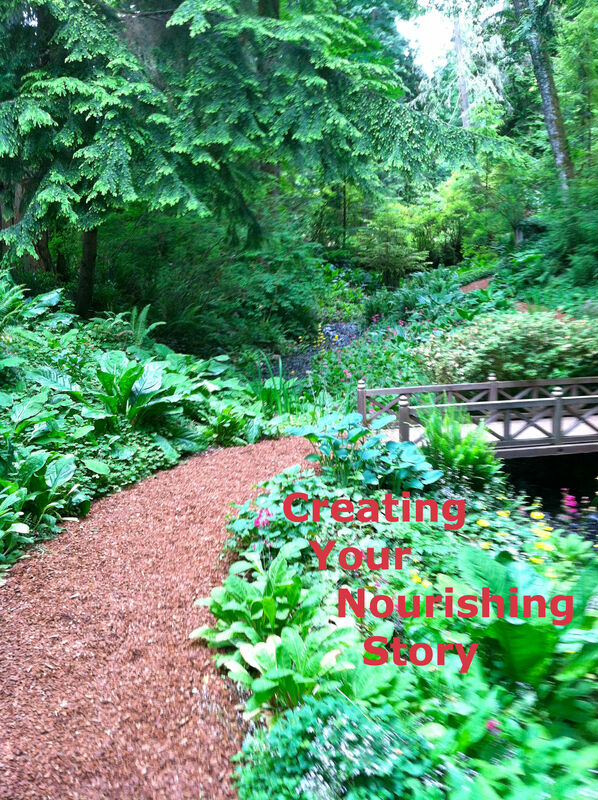 Click here if you’d like to have more nourishing support from Susan.